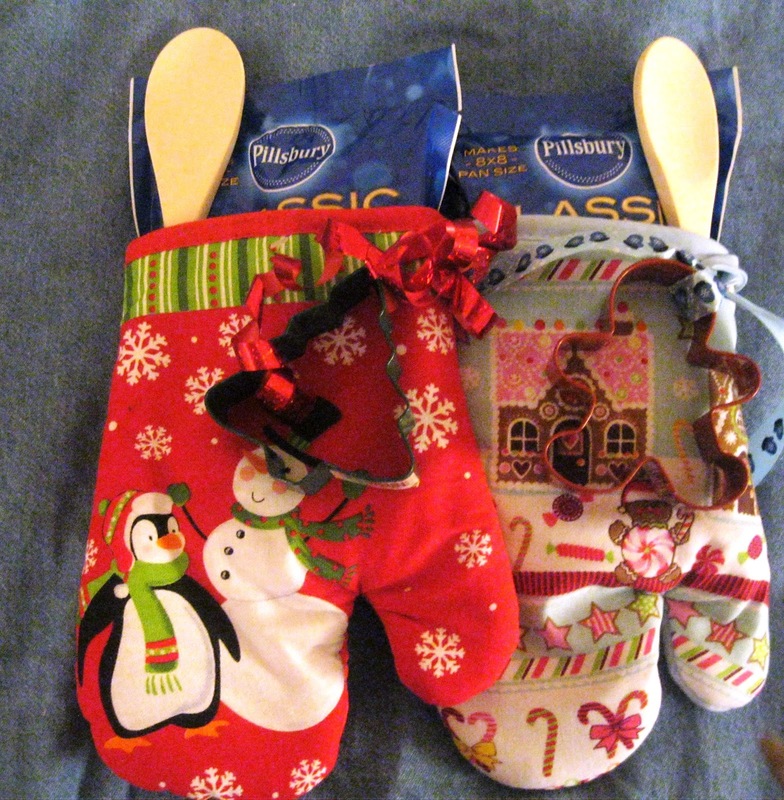 The Frugal Pantry: Christmas Gifts You Should Purchase AFTER the Holidays! Christmas Gifts You Should Purchase AFTER the Holidays! Today as you read this, you find yourself a few days before or after Christmas. The last thing you want to think about is next years holidays, but the clearance sales on holiday items are before you and it's the perfect time to take advantage of the savings!. I wanted to share a few gift ideas that I like to buy after the holidays when things are 50 -75% off and tuck away till next year. 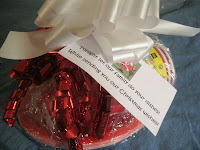 They make great neighbor, teacher, or coworker gifts, where its more the thought that counts, and not your wallet! These are just a few of the many possibilities! 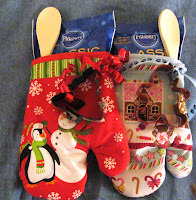 I picked up about 6 oven mitts from Dollar General for 25 cents each! I got a pack of 6 wooden spoons for a dollar too! The Cookie Cutters were about 50 cents each. So without adding the pouch of cookie dough I haven't even hit $1.00 for the gift! I picked up some holiday plates, cups & napkins for 75% off after the holidays, and tucked them away. I spend about $3.00 dollars total on this gift: Wrapping them together for a friend with the following tag: "Tonight let our family do your dishes, while we send you our Christmas Wishes!" Jan's bonus gift: Holiday napkins are great for cutting out the pictures from them and modge podging them onto ceramic tiles from the hardware store for some cute drink coasters. I received them from a dear friend last year. She had glued cork on the back of the tiles. Pick up some cute holiday napkins on clearance and tuck them away for this cute gift! 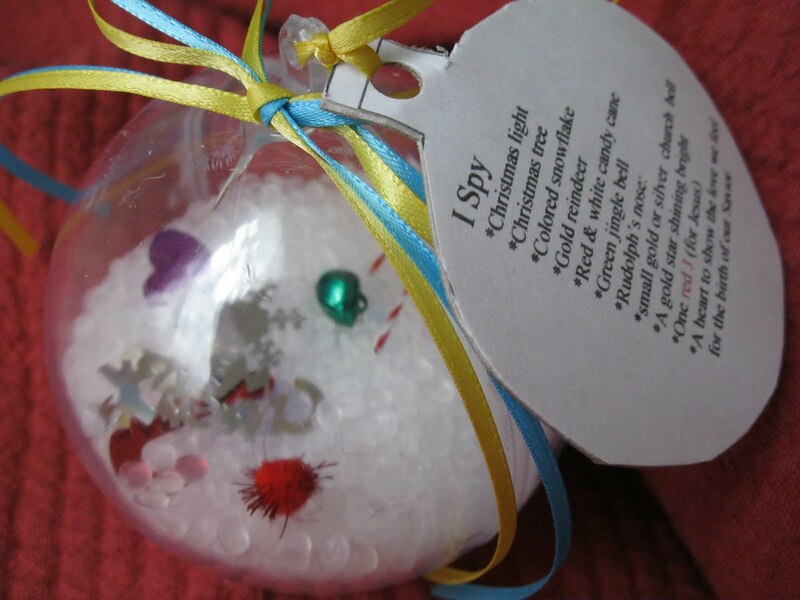 These cute I spy ornaments were from my blog last year. Wait till items go on clearance and buy them to make these cute ornaments for next year. What's your favorite clearance holiday items to buy?